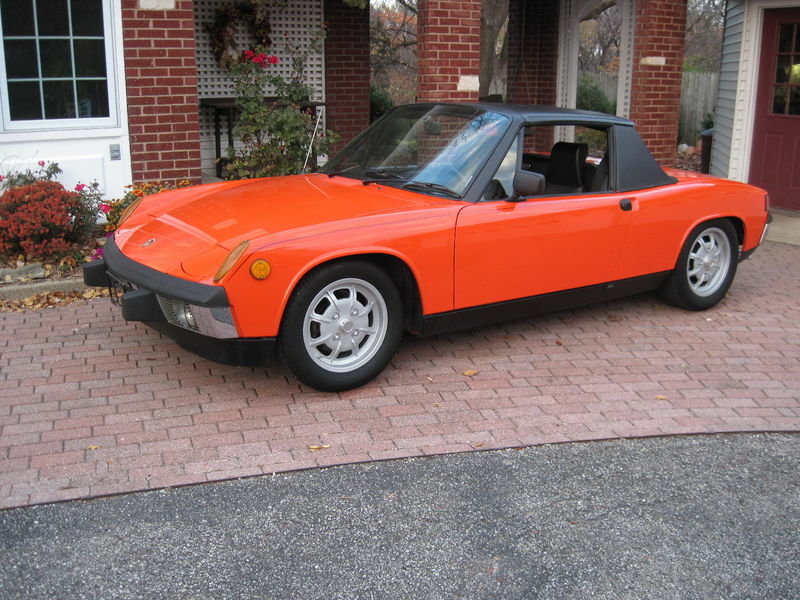 914World.com > 1973 with vinyl covered A pillars. Full Version: 1973 with vinyl covered A pillars. In very early 1973, some A.G. cars came with vinyl covered A pillars. As a fan of the rare and unusual I wonder how many cars still have it that came with it. I have a Revenna green 1973 which still has it. I have never seen another one in person. Anybody else have one of these cars ? 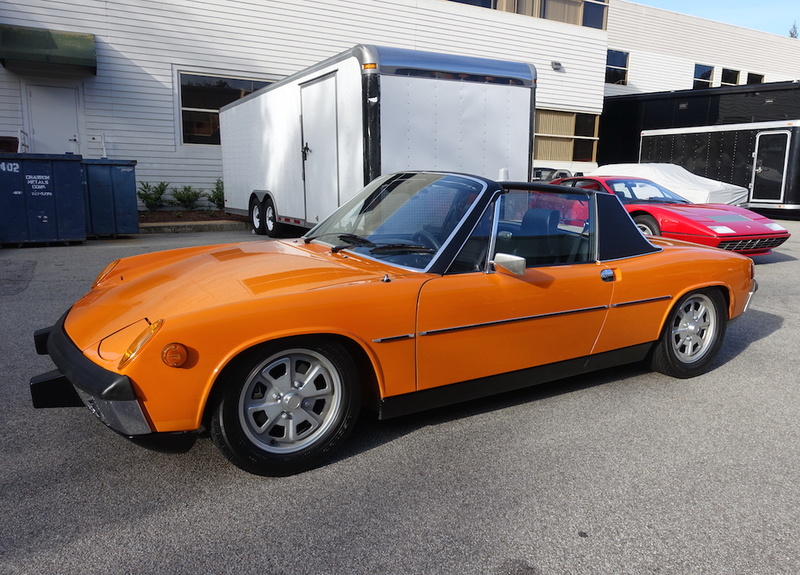 Do a search with google for here (this search is useless), cuz a CA member who used to have an orange early 73 with it, did 2 topics in the Garage &/or Originality Forum about them, with lists of other members with A-pillar vinyl. Please make sure to post in or at least bump them when you find the topics threads, so that they'll come back up to the top of the recent topics listing for others to find more easily. My 8/31/72 built 73 2.0 originally had A-pillar vinyl from remnants under seals, but it was removed in one of the 2 repaints done by the new dealer &/or original owner before I bought it 3 years old in Dec. 1975. I'm debating whether or not to recreate the A-pillar vinyl in my current resto. Mine has the vinyl on the a-pillar. It is a very early 73. Also the doors are different from later 73. I remember reading that they were different from the rest of 73, because they were left over 72's. Cant remember where. Also mine is the 1.7 and it has the EA engine which has a couple of more HP than the later ones. 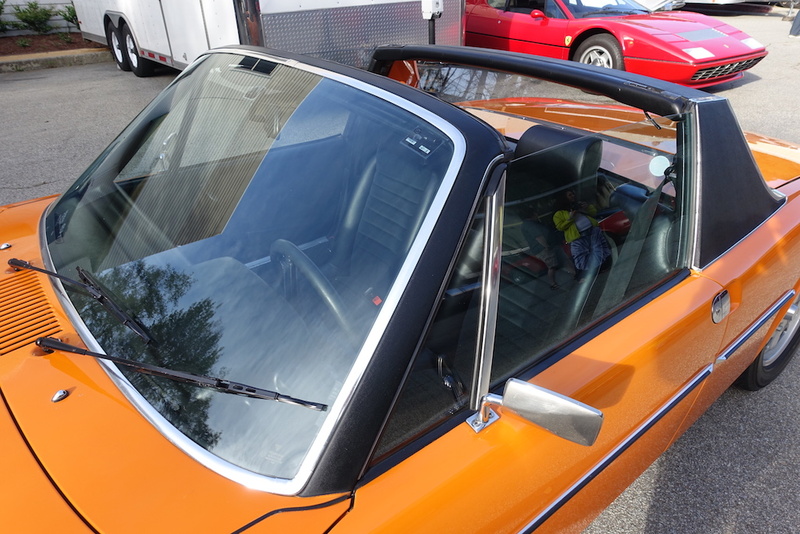 Only the earliest cars built for the 1973 model year had the vinyl on the A-pillar. In the foreground is member Halmil's Orangina. My very late '73 2.0 behind it doesn't have any A-pillar vinyl, or B-pillar for that matter. My vinyl pillar car is #299 and still had non reinforced doors and early dash vents. As said, using up the '72 parts. 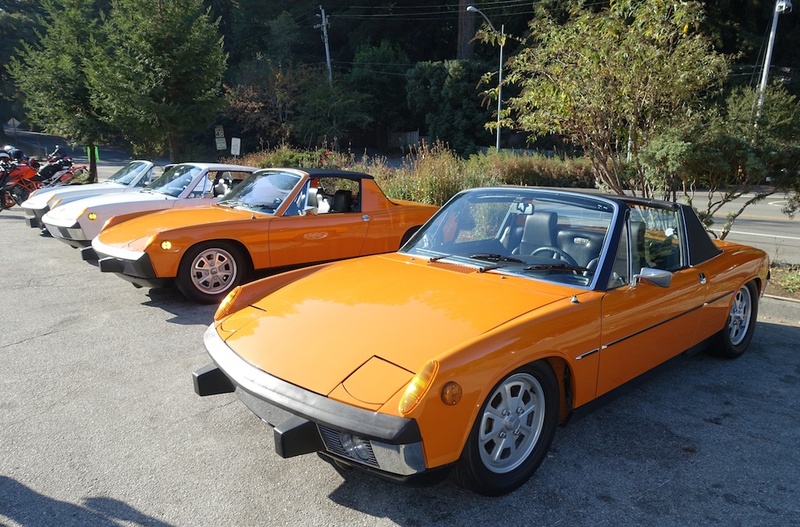 The "orangina" car is a very nice example. Personally, I really like the look and I wonder why the factory didn't continue doing it. As you said, it makes for another unusual and rare variation ... 44+ years later my guess is that there are probably less surviving examples today than the LE cars. The story is that the 1st 1000 1973 914's had vinyl covered windshield post. The reason the doors were not reinforced is because the law did not go into effect until 1 Jan 1973. They were not going to spend the money until they had too. Thanks for the reply's . I now know it looks good no matter the car paint color. I like it. Thanks for the free publicity for Orangina! I am glad that folks appreciate the originality and rarity of these early 73 cars!